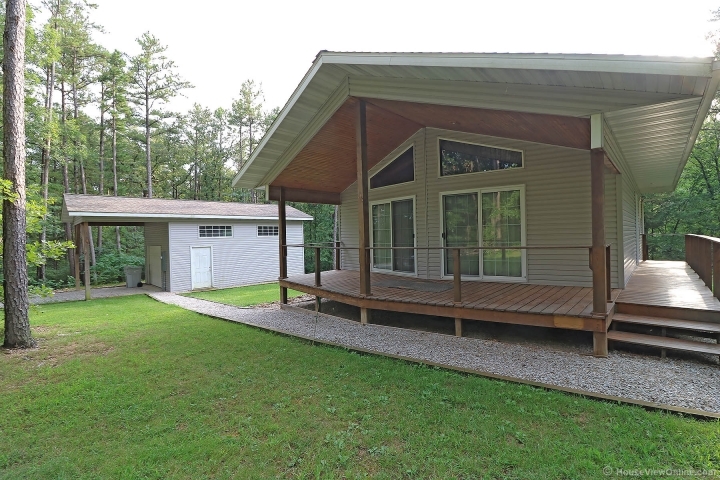 Looking for PRIVACY with lake access? This 2 bedroom 1 bath property checks those boxes. Enjoy a relaxing environment on the large covered front porch or take advantage of fishing within this lake community. Located on 3.2 acres, this property is surrounded by woods for privacy at the end of the road. Property features a 16x20 detached garage with electric. Great workshop area! Open floor plan with vaulted ceilings with a kitchen/dining combo. All kitchen appliances stay. This property is down the road from Fourche Valley Golf Club, minutes away from Council Bluff Lake Camp Ground and the YMCA.